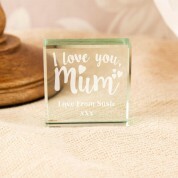 What better way to let Mum know how much you love her? 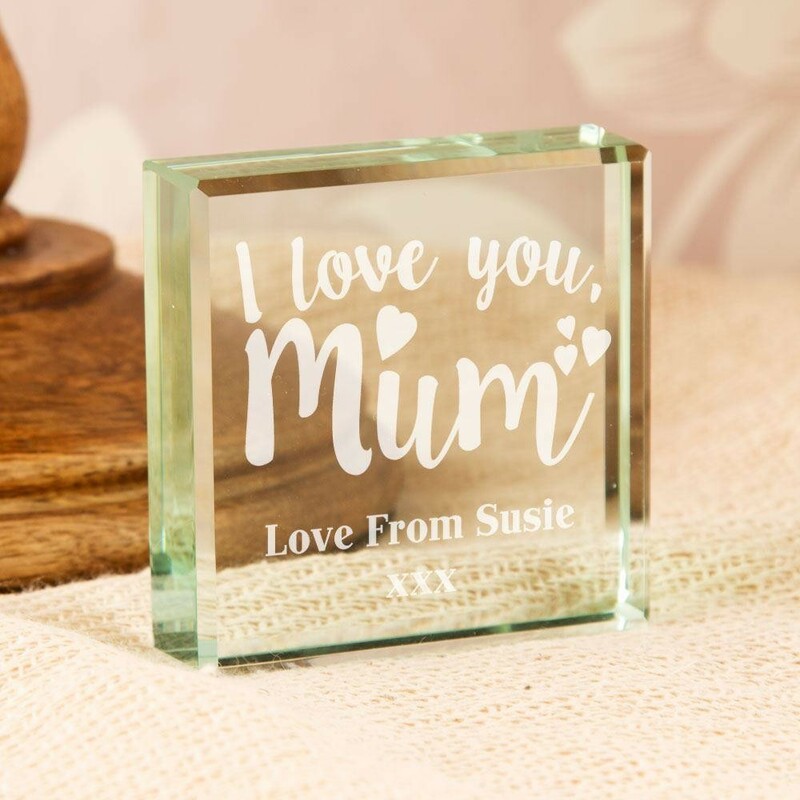 Our stylish jade tinted glass block is engraved in house with a scripted font that reads: “l love you, Mum”. 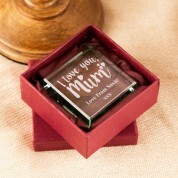 A short love from message is also featured below, and the design is made complete with love hearts surrounding the text. 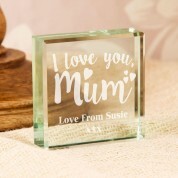 We think she will love to receive this from young or older children on a Mother's day or her birthday. She can proudly display it wherever she likes, as it will compliment any décor. An eye catching gift with a difference to treasure for a lifetime.